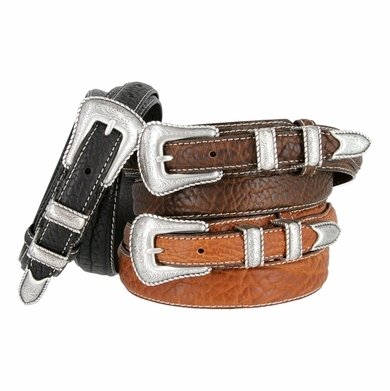 Boldly Textured thick Bison Leather ranger style with a 4 piece western-theme metal buckle set. Measure around where you wear the belt and order the size closest to that number. Size Available: 32" to 50"